Steve Immel Photography: This isn't Kansas any more, Toto. 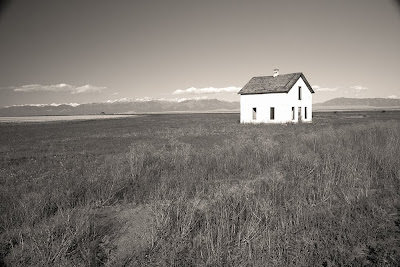 If it weren't for the Sangre de Cristos rising to 14,000 feet in the background this shell of a farm house might be in western Kansas or Nebraska. Instead it resides in the San Luis Valley of southern Colorado. At 7,500 feet and measuring 121 miles long and 74 miles wide the San Luis is the largest alpine valley in the world.